Home » Blog » Reduce Your Anxiety » Are You Missing Something Vital Before You Start to Play? I’ve lost count of the number of times I’ve seen musicians get up on stage and just start to play straight away, without any effort to get themselves ready. This is missing a great opportunity. There’s a window before you start where you can work with your physical and mental state to get into the ideal state to perform. But you need to remember to pause, and actually use this window. And you need to have practiced in advance just how you’re going to use it. Essentially, you want a pre-performance routine prepared that you know you can rely on to get you ready just before you play. You’re not looking to make any nerves magically disappear. Trying to do this is pretty much doomed to failure and can actually be counterproductive. If you tell yourself that you should relax and be calm and it doesn’t work then this can trigger you to get even more nervous. In any case, having a certain amount of “nerves” or excitement actually helps fuel a good performance. You’re looking to take the edge off any excessive feeling of nervousness. And to accept and get comfortable with whatever level is left. In order to do this, we’re going to enlist the help of mindful breathing. At the same time we’re going to gradually but deliberately move from “left brain” thinking towards “right brain” thinking. The left brain is associated with details, analysis and self-criticism – things which don’t help you feel comfortable in performance. The right brain is associated with creativity and the big picture – much more helpful for you right now. There are several specific methods out there that you can use to do this. When I’m teaching this in depth, I mostly base things on an approach called centering. Ultimately, though, everything needs to be adapted to the situation and performer rather than being seen as a rigid prescription. There’s no absolute right and wrong. So what I want to give you here is an understanding of the key components and a simple framework to use them in. The important thing is that you put it into practice. It can be hugely effective and if you get used to applying this regularly you’ll be light-years ahead of someone who knows the theory of several amazing and complex methods but who hasn’t worked to go deep into the practice of them. Start by focusing on your breathing. Just pay attention to your breath coming in and going out until you feel connected to it. Conscious belly breaths rather than automatic chest breathing. When you first start doing this, you may need to breathe in and out for a while until you feel ready to move to the next step. Eventually, just a few breaths may be enough. Throughout the rest of the sequence you’re going to continue breathing in this way which will act to calm both the mind and body. Now get any thinking that you need to do out of the way. 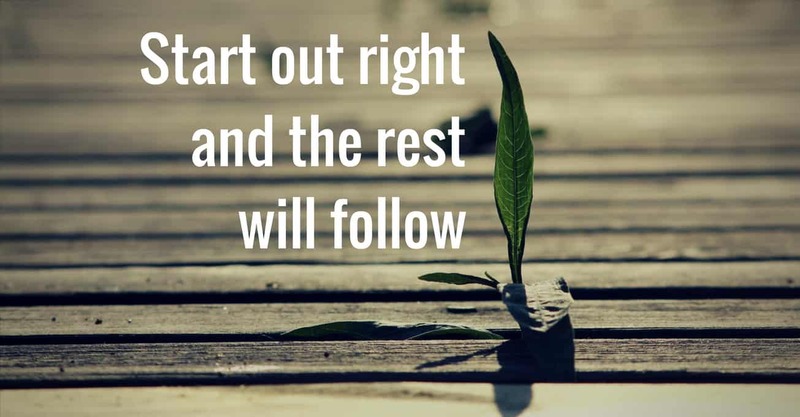 A good start is to quickly go through some deliberate plan for how you’re going to play rather than just letting any old thoughts into your mind. From this point you want to move away from thinking. That’s for the practice room rather than performance. You’re going to use the “feel” and “hear” steps to move towards more of a focus on experiencing than thinking. Towards that performance mindset that you want. There’s no magic to this. Just spend a few seconds being aware of feeling something. It could be your hands on the instrument. Or your feet on the ground. Physical feeling acts as a useful, concrete first step away from thinking. It prepares you for the experience of focusing on hearing without overthinking it. That’s what we’re going to do now – just hear something in your mind. It could be the sound of the first phrase you’re going to play. It could be the drumbeat that you’re going to be playing over. Just focus on hearing it, whatever it is. Once you’ve done that, you’re ready. You’ve set an intention for the piece, put yourself in a performance mindset, and calmed your mind and body. Go ahead and start to play. This sort of pre-performance routine can really help your performances. It’s not a one-off quick fix, though. It gets more effective the more you practise it, too. Make it a regular part of your practice rather than just pulling it out at the gig for the first time in ages and hoping that it will work. Do you struggle to play your best right from the start? Let me know in the comments section below. Have a look at my course: Unlock Your Performance. Couldn’t agree more Mark. When you’re playing the first notes have to be played with commitment and that means being prepared, not just jumping in. I was interested in your comments on nerves, because, especially when playing solo on the classical guitar, I am still liable to get the dreaded two hand shake…and that leaves me unable to play because once that happens, every bum note becomes an obsession and I find it very difficult to leave that behind. ii) Our brains are constantly bombarded with much more information that we can possibly process consciously. What we’re expecting to see acts as a filter for what passes through to the conscious mind (rather than being dealt with automatically by the subconscious). If you’re watching out for mistakes then you’re much more likely to notice them – even really small ones (and then things tend to spiral). If you can, try and focus on watching out for something different. A couple of things I like are to concentrate on the tiny details of the sound I’m producing, or exactly how my fingers feel on the strings.